In 2014, a decade after the completion of the Human Genome Project, Clinical OMICs was launched as a new sister publication to Genetic Engineering & Biotechnology News. 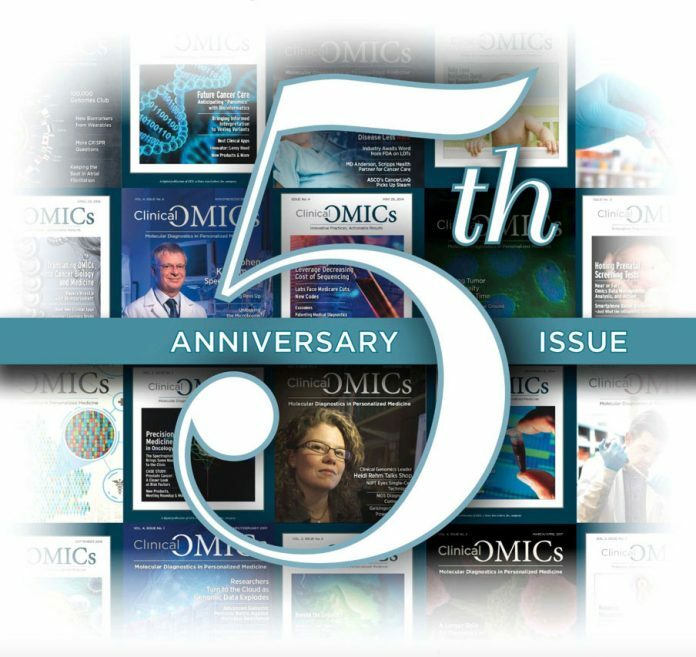 Over the past five years, the magazine has covered a wide range of exciting stories spanning new diagnostics technologies, the role of biomarker discovery in drug development, advances in sequencing and other omics platforms and their integration into the clinic, as well as the regulatory and economic issues that must be addressed to deliver the full promise of precision medicine. In this 5th Anniversary special report, we invited leading authorities in personalized medicine to review the major advances in our industry over the past five years and look ahead to the next five. Senior Editor Alex Philippidis looks at five successful companies that epitomize the successful evolution of molecular diagnostics and personalized medicine. The section also includes sponsored contributions from leading companies in this space. What are the most significant advances in precision medicine/genomics over the past five years? Church: A key milestone has been getting to a point that everyone could, in principle, access their own interpreted whole genome sequence (WGS). This required a drop in price to sub-$1000 in 2015 and to zero (or better) in 2019—the latter by cost-recovery from researchers and large healthcare payers. Also it requires personal ownership and control, with convincing privacy protection as in homomorphic encrypted queries with blockchain records of transactions. To eliminate severe Mendelian diseases responsible for 5% of deaths requires genetic counseling, which is about 1000-fold more cost-effective than therapeutic approaches. This is achievable via DorYeshorim, and variations on that, generalized to address all severe genetic diseases, with strong pre-conception options, including no stigmatization, no revelation of carrier status and dating apps focused on random subsets of compatible mates (not incompatibles). Another advance in the past five years is universalizing (allo & xeno) transplants some of which are personalized as in UCART (even neoantigen) therapies. Church: My lab has worked on most sequencing methods and companies, including single-molecule nanopores (Roche, ONT) and cyclic addition imaging (ABI, Ion-Torrent, CGI/BGI, Lynx-Illumina) and helped reduce costs from $3 billion for the first human genome in 2004 to $300 per whole genome today—and improved quality from ‘clinically unacceptable’ in 2004 (due to lack of separate information for paternal and maternal alleles) to fully haplotyped genomes today. We have also contributed to methods for fully shareable “open consent” medical + omic data and cells (Personalgenomes.org) as well as ultra-secure encrypted queries (Nebula.org). Our research on various genome editing methods (not just CRISPR) is relevant to the universal donor strategies above. Church: HIV, TB, Malaria, Lyme. Some of these exhibit instead rare, highly resistant individuals, due to exceptional neutralizing antibodies or to missing pathogen receptors (e.g., CCR5 double nulls). These rare advantages can be harnessed and redeployed to benefit the broader population. Similar strategies may be harvested from other species or from synthetic biology, but the challenges of such preventative medicines includes testing in healthy individuals and pejorative labeling as ‘enhancements’. Prevention of cognitive decline or other diseases of aging might be achieved via mild cognitive enhancement or a risk of off-label use in individuals with no signs of decline. Other challenges include encouraging randomized clinical trials on preventative medicines, education, encouraging broad participation in such RCTs and rigorous citizen science. What is your vision for the future of precision medicine/genomics? Church: As much as possible, this revolution should be equitably distributed to all people. This requires radical price cutting as noted above for WGS, which, in turn, may require applicability to large cohorts—even all 7.5 billion of us, as could be the case for aging reversal or for gene drives to achieve infectious agent extinction (analogous to smallpox, polio, guinea worm). We may see a much stronger emphasis on preventative medicines and enhancements (relative to our ancestors, not to each other)—including vaccines, education, 24-7 omics and nutritional monitoring via smart phones with very simple, yet precise and impactful, user interfaces. Relling: Whole-exome sequencing has improved drastically and become increasingly cost-effective. This improvement has enabled more accurate diagnosis of genetic diseases, especially helpful for pediatric patients. The market for consumer-driven, genome-wide genetic testing has become more common and aids our understanding of diseases. Also, there are a number of users converging on key peer-reviewed, non-profit curated genomic medicine resources to guide clinical actions, such as ClinVar, ClinGen, the Clinical Pharmacogenetics Implementation Consortium (CPIC), and PharmGKB. Relling: Our group at St. Jude Children’s Research Hospital co-established CPIC in 2009, along with investigators from Stanford and PharmGKB. Today, we continue to work to create, curate, update, and disseminate freely available peer-reviewed guidelines and related resources by those implementing pharmacogenetics in the clinic. This work clarifies the importantance of maintaining genomic medicine resources by the non-profit sector. We collaborate with ClinVar, ClinGen and PharmGKB to make pharmacogenomic resources available. At St. Jude, we established a clinical protocol, PG4KDS, and have enrolled nearly 5000 patients, with a goal of preemptively implementing all gene/drug pairs that are subjects of CPIC guidelines, with appropriate clinical decision support. We have a residency training program to educate clinicians on clinical pharmacogenomic implementation. Relling: One of the biggest challenges is most healthcare systems are not built to prevent adverse events, but mostly to treat adverse events. Another is the lack of a centralized, organized healthcare system designed to support life-long results such as genomic testing. For example, we can conduct a preemptive screen for pharmacogenetic tests in a single test, and these results are more likely to be applicable as the patient grows older and is exposed to more high-risk drugs. But we don’t have a good system for making these results available when needed. There is no uniform electronic health record. At any one time, patients may have multiple prescribers and pharmacies with little to no coordination, much less with common access to genetic test results that can inform prescribing and capitalize on the availability of clinical decision support. 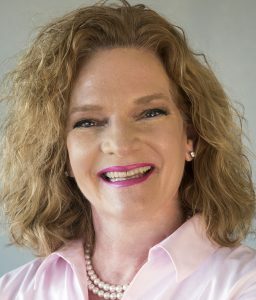 The lack of logical prescribing based on laboratory tests is just one small example of the disconnectedness and lack of computationally informed medicine that impacts all levels of our healthcare. Relling: Perhaps the most realistic idea is to start with a tight focus, like pharmacogenomics. Individuals could have their pharmacogenetic testing done as part of a panel with their first prescribed medications, and these results can essentially last a lifetime. A common prescribing and dispensing system would need to permeate all clinics, hospitals, and pharmacies, with the patient at the center. Lifelong alerts, such as allergies, prior history of adverse drug reactions, and genomic test results would be built into the system. Although available to all users, the pharmacy or point of dispensing would serve as a common, last resort safety net to provide decisions support for prescribers and dispensers; even establishing this common point would require unprecedented centralization and free communication among laboratories and pharmacies that does not currently exist. 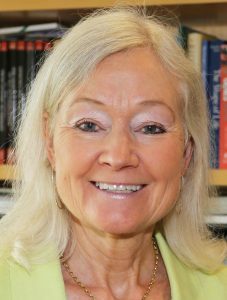 Mardis: In my opinion, the most significant advances are the increasing numbers of FDA-approved targeted and immunotherapies in cancer, most of which can be correlated to genomic aspects of cancers including specific genes/mutations of known cancer driver genes, and immunogenomic metrics such as increased neoantigen load, microsatellite instability in the setting of mismatch repair defects that predict sensitivity to immune checkpoint blockade inhibitors, or sensitivity to PARP inhibitors in the setting of homologous repair defects. Also, monotherapy and combinations of these therapies are yielding important durable responses in cancer patients. Mardis: Our work has been integral in identifying new driver mutations such as IDH1/2 mutations in acute myeloid leukemia, which is now targetable by an FDA-approved therapy. We also have helped to define the significantly mutated genes in ER+ breast cancers, including late relapse ER+ disease, by sequencing cancer samples accrued in clinical trials. We have helped to define one of the resistance mechanisms that lead to acquired resistance to PI3 kinase inhibitors. Our work in neoantigen prediction has led to a highly utilized computational pipeline, pVacSeq, that can identify neoantigens in cancers and has been used to design personalized vaccines for several clinical trials. Mardis: The biggest challenge in precision medicine is universal access that enables all cancer patients to have therapeutic options identified through precision medicine approaches as they progress from the standard of care. As increasing numbers of patients are able to access genomic profiling, their providers should be enabled to use these data to better evaluate treatment options in a way that doesn’t require access to high-level computational capabilities, but rather provides web-based tools for data upload and evaluation, returning information that is readily interpretable in the context of patients with similar profiles, and providing insights to apply new therapeutic modalities. We also need insurance payors to understand the value of these approaches in terms of quality-adjusted life years for patients and to reimburse the testing that will ensure precision medicine is available for all cancer patients who need it. Mardis: Ideally, that all cancer patients can avail themselves of diagnostics that inform precision cancer medicine, and can benefit earlier in their disease course, rather than later, thereby reducing associated morbidity of chemotherapy and radiotherapy. This concept is especially important for our pediatric and adolescent/young adult patients, who still should have long and healthy lives ahead of them. Birney: Technology advancements have been pushing us to create clinical utility for all the different types of molecular data that is becoming available. This includes genomics, transcriptomics, metabolomics, and bioimaging. There’s still a long way to go before we can smoothly string together different health data types, but we are certainly making progress. From the genomics perspective, estimates show that over 60 million patients will have their genome sequenced in a healthcare context by 2025. Projects such as 100,000 Genomes in the U.K. are really paving the way for the use of genomics in the clinic, and improving how we diagnose and treat rare diseases, cancer and more. Birney: EMBL’s European Bioinformatics Institute (EMBL-EBI) is one of the world’s major sources of reference molecular information. The institute has more than 200 petabytes (PB) of storage capacity, which we are continually expanding to accommodate for the storage, sharing, and analysis of data produced by life science researchers all over the world. We’re also contributing our expertise in data coordination and analysis to landmark scientific projects and collaborations that are redefining our understanding of biology (such as the Human Cell Atlas), and genomics (UK Biobank, CINECA). We are helping more and more organizations “make sense” of big data. We are also closely involved in the Global Alliance for Genomics and Health (GA4GH), which I chair. GA4GH aims to enable responsible genomic data sharing within a human rights framework by setting robust technical standards. GA4GH brings together more than 500 leading organizations from healthcare, research, the wider life sciences and information technology, all of which are working to advance human health. Birney: Responsible data access is perhaps one of the biggest concerns at the moment and it’s something we need to get right from the get-go. Because the technology is moving so fast, we need to make sure that industry standards and legislation keeps up and preempts any potential issues. Training current and future healthcare professionals is another big challenge, but also an amazing opportunity. Clinicians, pharmacists, and other medical practitioners will have to get to grips with genomics, understand its potential, limits, and applications. Another opportunity for genomics is international collaboration. Genomics only “works” when the datasets are very large—we’re talking tens if not hundreds of millions of people—and diverse. Although national initiatives are a good first step, international collaborations and secure data sharing is essential for research and for global health challenges such as infectious disease, pandemics, and so on. Birney: I believe genomics and data science are already showing their worth in day-to-day healthcare. I envision genomics will become an additional tool that will help clinicians improve diagnosis and treatment decisions. Some diseases that we now see as complex and problematic will transform into a routine diagnosis and treatment process. There will certainly be glitches and uncertainties along the way, but the potential of genomics and precision medicine is significant. Willard: How one views opportunities and advances in precision medicine and precision health is like the parable of blind men and the elephant—it all depends on which part of the elephant one is touching! To some, it will be somatic mutations and cancer therapeutics; to others “the right pill for the right patient”. Most progress in clinical implementation has been with Mendelian disorders, with broad ongoing research efforts to explore how whole-exome and/or genome data will inform risk of more complex conditions. Willard: Geisinger has launched a number of precision health programs, including MyCode Community Health Initiative over a decade ago. Over 250,000 participants have consented to participate in this research—a collaboration with Regeneron’s genetics research center—and we have sequenced whole exomes in more than 100,000 of these research samples, with reporting of clinically confirmed and medically actionable variants to about 2% of participants. Motivated by our experiences with MyCode, we launched a clinical whole-exome population screening program in mid-2018 as part of routine clinical care in a variety of Geisinger clinics, developing an end-to-end implementation platform—from patient engagement and consenting, to whole exome sequencing in a certified clinical laboratory, to physician education, to genetic counseling at scale, and to integration of clinical results into the electronic health record. Lastly, we launched Geisinger National Precision Health in the Washington, DC area at the end of 2017, that offers the Geisinger implementation pipeline to health systems and other institutions and companies around the country in order to advance their programs and implement genomics into the practice of healthcare for millions of patients nationally. Willard: The major challenge for integrating genomic sequencing data into precision health at scale remains the cost of whole-exome or whole-genome sequencing. This will remain an obstacle adoption, without significant drops in costs of sequencing and/or coverage of the costs of population-based screening by payers. To do so will require significant efforts to develop the evidence base—now available for only a small number of conditions—for conditions and genes across the genome. 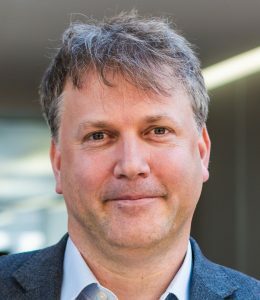 There are major short-term opportunities to develop the evidence base, to refine our understanding of penetrance and population incidence of various genetically determined conditions, and to incorporate information on variants across the genome, not just one at a time, but as part of polygenic scores that contribute to risk or resiliency. Willard: Universal genomic sequencing will become a routine part of public health and medicine, to improve individual health and well-being, while optimizing the cost of healthcare over the lifespan. To do this, we strive to demonstrate the clinical utility and personal value of genomic information at the individual, family, and community level. Geisinger is an ideal “healthcare laboratory” for implementation of genomic precision health, both at Geisinger and beyond. 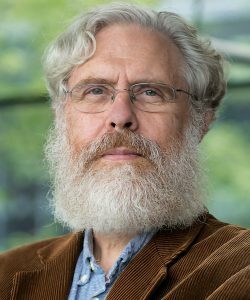 Worthey: Over the last five years we have begun to shift towards acceptance that the sequencing of an entire genome (WGS) provides a significant boon both in terms of research and clinical outcomes as compared to an exome sequence. The majority of the translational research programs into diseases believed to have large genetic components has shifted to WGS. This shift has perhaps most importantly supported an increased rate of molecular diagnoses for patients with rare genetic disorders and has increased our understanding of the genetic basis of diseases; both rare and common. The availability of these broad and rich datasets will continue to support advances in our understanding of human disease. For example, over the last 18 months we are seeing increased application of polygenic risk score (PRS) analysis making use of large GWAS and WGS data. PRS seeks to estimate an individual’s propensity towards a particular phenotype across large and small effect variation. These methods have a variety of uses including human disease risk assessment in research settings and there is increased focus on their application within healthcare settings. 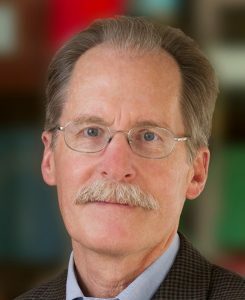 Worthey: Now that the sequencing technology has advanced to the point where delivering high quality, cheap, and rapid genomes is a commodity—and where robust, reproducible, and accessible methods exist for analysis and interpretation of these datasets—it is clear that the largest hurdle relates to the integration of these types of methods into clinical practice. Tools, methods, and processes need to be developed in order to deliver this information in ways that care providers can digest it and use it for the treatment of their patients. Some of the necessary steps are technical in nature. For example, the integration of these data into electronic health records. Solutions need to take in to account not only the volume of data, but also the velocity at which it changes—particularly in terms of how those changes alter therapeutic strategies and potential outcomes for patients. Extracting the latter information requires integration of this data with a large variety of other clinical and phenotype data, which adds additional challenges. Much of the work, however, is on the clinical implementation side. Integration of these datasets and methodologies has great potential, but this will only be realized if they are integrated in to the healthcare system. Worthey: I believe that precision medicine defined as the ability to interpret and understand the molecular differences that exist between individuals in order to deliver tailored medical care for them, is already functionally present in some rare disease and cancer settings. That is not to say that we have all the knowledge and expertise we need even there; clearly we do not, but we are on the correct path. We are now seeing a push into application in more common and less well understood diseases. 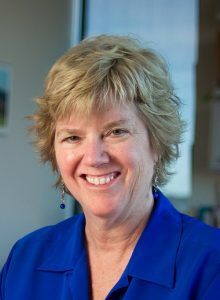 Kingsmore: Whole genomic sequencing and whole exome sequencing are eliminating the phenomenon of the diagnostic odyssey for rare genetic disease: It’s realistic today to have a genome or exome test ordered at first subspecialist outpatient visit and to have a diagnosis by the time of the second visit. This is clearly the most powerful diagnostic tool ever developed for the millions of children with rare diseases. For seriously ill children who are hospitalized in intensive care units, the most significant advance has been ultra-rapid whole genome sequencing. It’s routinely possible now to examine nearly every genetic disease and either make a diagnosis or rule out a genetic disease, in 36 hours. That’s fast enough to guide weighty management decisions in even the most seriously ill children. Where rapid whole-genome sequencing is absolutely transformative is in seriously ill children in whom a genetic disease was not suspected at test order. Those children were, with the best intentions in the world, being treated for the wrong diagnosis. Kingsmore: For the last four years, Rady Children’s Institute has had a single focus—implementation of ultrarapid whole genome sequencing at a scale of thousands per year. In February 2018, we set a world speed record–19 hours—for fastest genetic diagnosis. This year, we’ve started applying implementation science and hospital quality improvement principles to the entire precision medicine experience for infants in intensive care units. Over the past three years we’ve gone from seeking to meet the needs of a single children’s hospital—Rady Children’s Hospital-San Diego—to 16 children’s hospitals across the United States. And we’ve gone from 100 percent research protocols to routine clinical operations. Most notably, we are running a state-sponsored demonstration program, Project Baby Bear, implementing rapid whole genome sequencing in for MediCal-enrolled infants in intensive care units at five California children’s hospitals. The statistics are compelling. In 720 infants in intensive care units tested so far, one in three received a genetic disease diagnosis, and in about another third we are able to exclude genetic disease as the cause of illness. One in four infants has a change in care as a result of rapid whole-genome sequencing. One in five has a change in outcome. Kingsmore: One is we’ve invented a new way of practicing medicine that’s not yet taught in medical schools. To bridge the gap, we are creating a multi-tiered learning network to train physicians and nurses—particularly pediatricians in intensive care units—in understanding genomics and how to apply precision medicine. Another obstacle is the lack of insurance coverage for genomic medicine. We are engaging payors to understand their concerns and continuing to perform clinical studies to build further evidence for the power that genomic sequencing offers to save lives and lower healthcare costs. One study our team published last year in npj Genomic Medicine showed rapid whole-genome sequencing increased the rate of clinical utility to 31% compared with 2% for standard genetic tests. In six of the infants diagnosed in this study, the changes in care management reduced inpatient costs by $800,000 to $2 million. 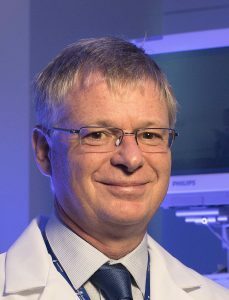 Kingsmore: Our vision is in the next few years, ultra-rapid whole genome sequencing will become a first-tier diagnostic test for infants and children hospitalized in intensive care units with diseases of unknown etiology. More importantly, our vision is to see a decline in infant mortality within the next five years, as children in intensive care units receive timely precision medicine. Davies: The resurgence of gene therapy after the Jesse Gelsinger tragedy 20 years ago and other setbacks is very gratifying, both for the researchers and physicians who have been pursuing this precision medicine and especially the patients. We are seeing genuine progress in CAR-T therapies, muscular dystrophy and eye disease gene therapy. Gene replacement is working and newer methods using gene editing (CRISPR, zinc finger nucleases, and megaTALENs) are reaching the clinic at last. I would also mention the diagnosis of rare diseases. For example, a program at the Sanger Institute where next-gen sequencing in up to 30% cases leads to the identification of the causative mutation, which at the very least leads to better management. 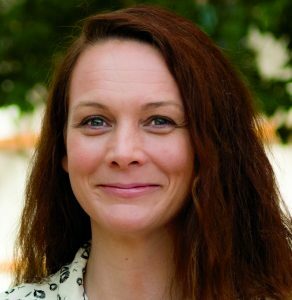 Davies: My lab continues to develop approaches for the treatment of Duchenne muscular dystrophy. Through a variety of complementary approaches, including gene therapy, small-molecule regulation of gene expression, and gene editing, there is more hope than ever that treatments for these devastating disorders will soon emerge. We engage in several national or international collaborations, particularly EU frameworks. Davies: I would say the pricing of precision medicine is top of the list. Companies should be compensated for the heavy investment required to bring these drugs to market, but current drug pricing trends, especially for rare diseases, are unsustainable. In addition, access to genetic testing and the chronic shortage of professional genetic counselling is challenging. On the plus side, exciting opportunities include the screening of all pregnancies to eradicate most rare diseases. I would also like to see public health policies that relieve pressure on hospitals and encourage individuals to take more responsibility for their own health. Davies: Diagnosis at birth for rare diseases. Revelation of the risk of common disease, where requested, at 16 years of age so that lifestyle changes can be made. And the approval of more one-stop gene therapies that essentially cure the disease.